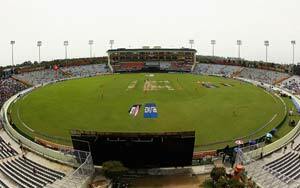 Yesterday 30th March 2011 India Vs Pakistan match was termed as one of the biggest match of the century and the result of the match was inline with what was expected by every Indian but there is lot more to be learnt from that match especially marketing policy of ICC. Every news channel almost said one thing. This match could be most watched match ever with a TRP (Television viewer-ship rating point) of 40 beating the yet another India-Pakistan world cup encounter in 2003 which had a TRP rating of 32.45. If you are not sure how good the number 40 is just compare it with the India Australia quarter final match which was also termed as one of the biggest match of 2011 world cup and had a TRP of 6.53. Now what is the biggest marketing lesson from the match. India Pakistan Matches are not played very often and that too on Indian soil. ICC (read BCCI) made sure that India plays all their matches in India because India is ranked 2 in ICC world ranking and so any other Asian country if qualifies for the Quarter final or semi final will play a match in India. In World cup ICC makes every attempt to keep India and Pakistan in separate groups. This makes India Pakistan encounters less in World Cup. Yet another way to make it scarce. If there is a match between the two nation it is always in the knock out stages and India has managed to knock Pakistan out of the World cup every time. How to apply the same to your own product? I am sure you now have the question as to how you can apply the same marketing principle of India and Pakistan Match for your own product. The way to make the item scarce is to limit the numbers. If you selling a physical product you can have a time limit before the price of the product goes higher. If you are selling a digital product you can have limited no of seats or downloads available for people at a particular price point before the price goes higher.